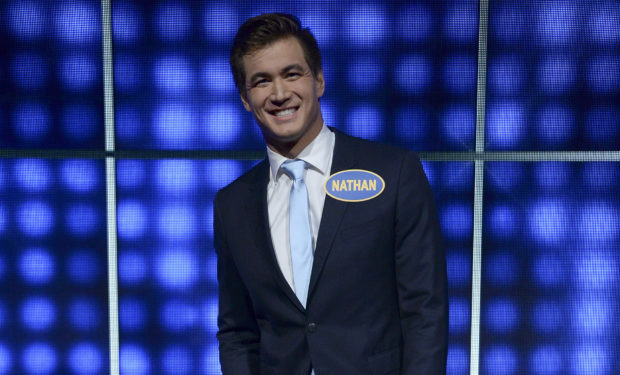 On Celebrity Family Feud, after R&B singer Faith Evans plays against TV personality Ross Mathews, five Olympic gymnasts led by Shannon Miller will compete against five Olympic swimmers led by 28-year-old Nathan Adrian. Adrian is a three-time Olympian with eight Olympic medals (5 gold) from the 2016, 2012, and 2008 Olympics Games. The handsome 6’6″ tall University of California, Berkeley graduate got engaged in May to Hallie Ivester, a Stanford alum who works in merchandising for Gap Inc./Banana Republic in San Francisco. They’re getting married on September 15, 2018! See photos below. Celebrity Family Feud airs Sundays at 8pm on ABC. 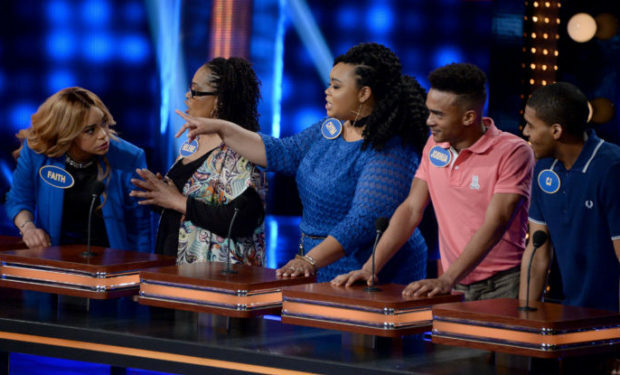 Who Is Father of Faith Evans’ Daughter Chyna on Celeb Family Feud?